The Texas Engineering Extension Service (TEEX) has trained and provided technical assistance for 195,000 personnel in the last year. 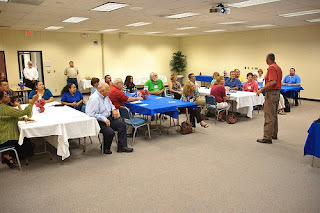 This June, we had a new class that was different from any we’ve offered previously. 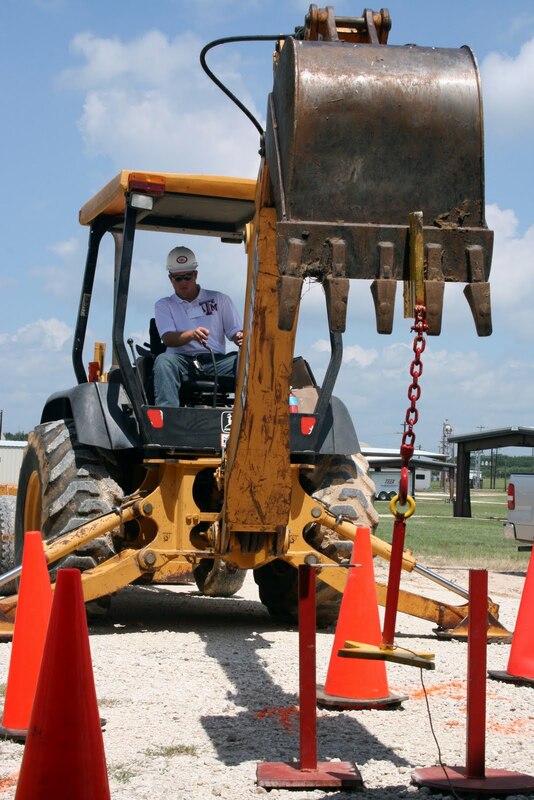 TEEX and the Texas Department of Assistive and Rehabilitative Services (DARS) together offered a special six-week Heavy Equipment Operators Training (HEOT) class for disabled students. Their graduation from TEEX’s Infrastructure Training & Safety Institute (ITSI) brought officials together from all over the state. The Texas Department of Assistive and Rehabilitative Services administers programs that train Texans with disabilities or developmental delays. DARS’s goal is to get them back to work so they can live independent and productive lives. Over the years, local Vocational Rehabilitation Counselor Steve Scarmardo noticed DARS was unable to serve some consumers because they couldn’t read, write, or had a learning disability. 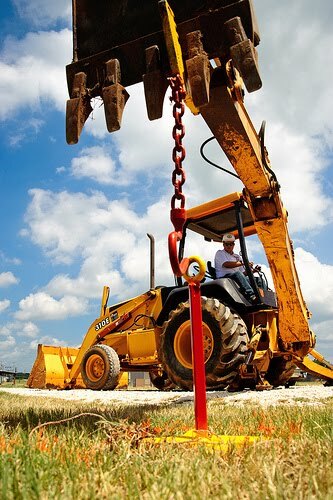 With that in mind, and support on the regional and state level, DARS and TEEX entered a partnership to provide 240 hours of one-on-one heavy equipment operator training to an initial class of four DARS students. In the partnership, TEEX provided training at our facility on Texas A&M’s Riverside Campus. This campus is a converted air base near Bryan with 1,900 acres of deserted streets and runways available for training on heavy equipment. DARS provided administrative support for the students, such as transportation, lodging, travel expenses, and counseling. The organization always attempts to keep students close to home and the support family can provide. Two of the four students lived at home and commuted daily, while the other two students resided at the La Salle Hotel in downtown Bryan, with the hotel providing daily breakfast and transportation. The students learned basic maintenance and operation of several large pieces of equipment, with a constant emphasis on safety. 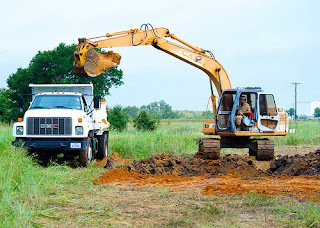 As with most basic training, mastery of a specific piece of equipment will come with experience and further training, which may be offered by TEEX. A special graduation ceremony was held at RELLIS Campus after four weeks of hands-on training, some in deep mud. The classroom was set with four large tables for the graduates as well as their parents and families. Outside, a backhoe was set-up behind a series of cones, next to a large covered porch, for a demonstration of one graduate’s skills. The smell of Texas barbeque permeated the building. During the ceremony inside, TEEX Director Gary Sera told the graduates, “We pride ourselves in challenging you guys,” and thanked the parents and families for their support during training. 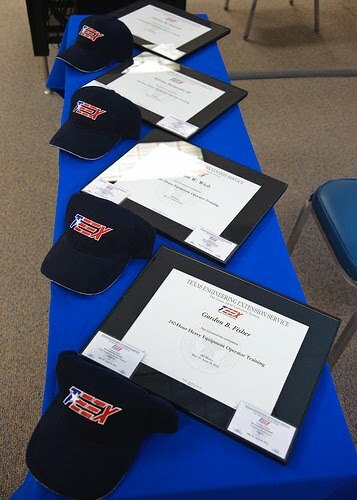 Then TEEX’s ITSI Executive Director Dan Gray awarded each student a TEEX baseball hat, emphasizing the pride they should take in their accomplishment. Then the audience moved outside. One of the students mounted the backhoe and used the bucket to pick up and move a 3-inch washer through a complicated pattern of traffic cones. We watched amazed as the young man, using concentration and finesse, completed the course. There was a bit of emotion at the ceremony besides the usual pride shown by TEEX Project Coordinator James Holt and instructor Rick Lemons. Obviously, some bonds had formed, and you could feel that everyone involved realized the significance of the opportunity provided for the students. 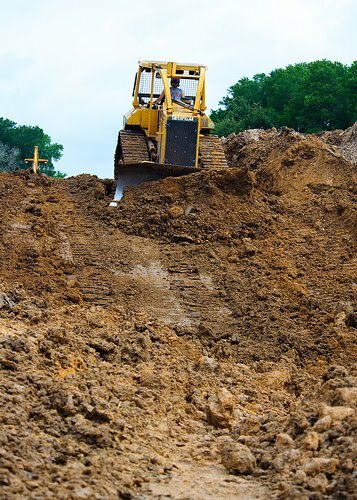 It was also remarkable that Scarmardo, Sera, and Gray each took a few moments to relive their experience using heavy equipment in their youth, clearly demonstrating that there are jobs in Texas for men who love to play with big toys in the mud and dirt, as well as the families and staff that support them. Texans- If you or someone you know could benefit from this type of training, please contact your regional DARS office. The next class is scheduled for late summer or early fall. Here at TEEX, our annual fire schools have begun, making for one HOT July. Photos from the Spanish Fire School are already on TEEX's flickr page. Watch the TEEXblog and our facebook page as well as twitter, flickr and YouTube for more story, photo and video updates. 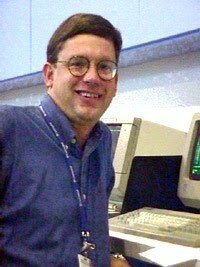 Sam White is a communications specialist and blogger for the Texas Engineering Extension Service and welcomes your comments. Know of something interesting happening at TEEX? Please submit blog ideas to sam.white@teexmail.tamu.edu.